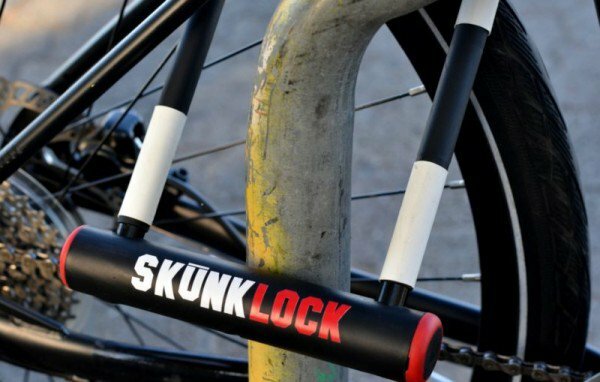 A new type of bicycle lock has been developed that ends up spraying the potential thieves with a spray that is so noxious that, in the majority of the tests, caused the thieves to vomit without control or to panic and run away. 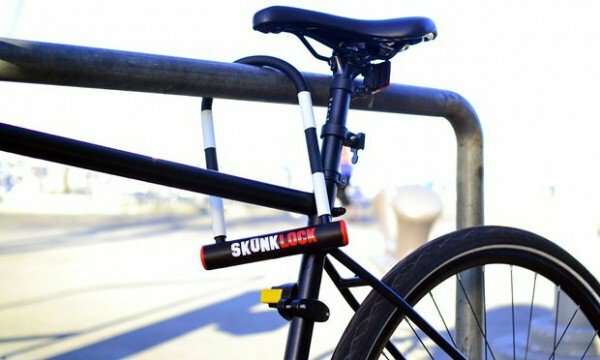 It took Daniel Idzkowski six months to develop the idea and to build a prototype for his new bicycle lock. Idzkowski, of San Francisco, was inspired to come up with the new technology when he discovered that over a million and a half bicycles are stolen across the country every year. It is a U lock type of system but the steel half ring is filled with noxious chemicals. The chemicals are so strong and the smell is so obnoxious that they have even been able to penetrate some of the most advanced gas masks. The chemical spray was created by Daniel and a partner and there is nothing illegal about any of the chemicals used in the chemical deterrent. The lock itself is medium carbon steel with the black and white skunk type markings that they hope will warn potential thieves away from a bicycle. If, however, the thieves decide to cut into the hollow tubing, they will be in for a huge shock. The smell is so horrific, that the theft will unlikely to be carried out. Daniel and his partner are in the middle of an Indigogo crowdfunding effort and hope to put the bike lock into full manufacturing production sometime in the spring of 2017.